It’s that time of the year when I start to think about starting off some chillis from seed. I have an 11x6 foot bed going spare at the allotment so went looking for a few of the less common seeds to pack it out with. Logged onto the Dorset Chilli website and saw that everyone else must have had the same idea...whole range sold out. I felt like Old mother Hubbard! We've have had a remarkably hot and humid summer with higher than average rainfall this year. My little chilli bush has grown and extra 18" in height over the last month alone and is absolutely covered in red chillis with ample green ones as well. They are very hot little things but I'm not sure exactly what variety. I noticed the other day that my father's is even better than mine. We are fortunate enough to have temperate weather allowing for these plants to easily survive over the winter. I have my regular 'go to' favourites (Pictured below), which I have bought in places such as supermarkets, DIY stores and garden centres. When I am deciding which to grow, it is about what do I intend to use them for, what am I cooking, how many do I want, what heat factor and what will the wife find most pleasing to look at - I still have not decided, I have a week or two more before it gets too late I think. - The 'Paper Lantern' are hot-ish and defintely should not be harvested until the skin begins to shrivel, plants last 8 months. - The 'Pinocchio's Nose' never get chance to ripen to red and I can eat them fresh from the plant, plants will last 12 months but even with feeding, fruit will reduce in size. - The Patio 'Super Chilli' are abundant, quite hot once red and colourful for in the window (brownie points), plants will last 12-14 months. - I have never had any luck with the Fresno but I have grown the Red Cherry. Very slow growers (2 crops per season), very low yield with 7-8 fruit at a time (usually have to grow 3-4 plants at once, takes up the whole window, no brownie points) but they are hot and when sliced fresh from the plant, they will stain anything, gloves are strongly suggested. With a little care, replanting in fresh soil during the winter and feeding during the rest of the year, I have grown these plants for 2-3 years (definitely no brownie points). Hopefully will give some suggestions. Chilli Plug plants should be available in march, thats how i got my Dorset Naga's last year, i bought three, two of which didnt do well because the holes in the pots were too smalland didn't drain, they are currently all cut back to the stem in a cabin in the garden, hopefully come march they will liven up, easier to grow than from seed imo. Had a superchilli plant just hanging on from overwatering last year that still seemed green in its stems. Saw flickers of green leaves sprouting in conservatory in December so brought it indoors where the leaves grew a little, watered a little when they began to droop and responded ok each time. Suddenly largest leaves started to wilt and didn't respond to water - so repotted and added a little growmore granules. Not looking good at all - so back into conservatory where at least it will catch some sun. Not exactly hopeful. My dads green fingers I have not inherited ! You may be ok, just don't water it, even during the growing season feed em but let them dry out before feeding them, curry leaf trees and lemon trees are the same, My Naga plants look dead at the moment but hopefully spring will see them shoot again. You’ve inspired me! 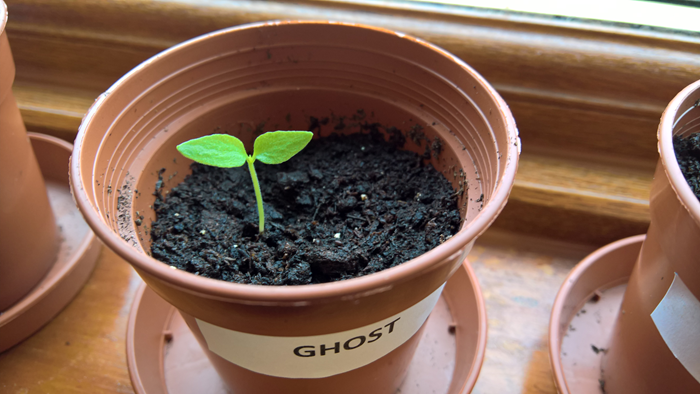 I’ve never tried growing chillies from seed before but I picked up a packet of seeds at the garden centre yesterday. 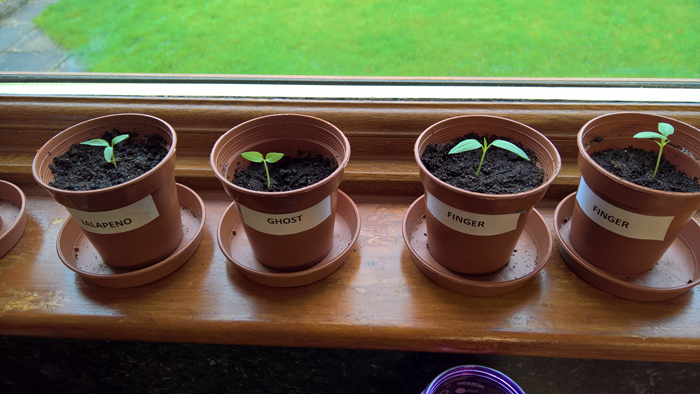 It says they are “Cayenne Long Slim” Capsicum annuum L and I doubt they’re anything special on the heat scale, but I’ll have a go anyway. Any tips please? Do I soak the seeds to start, or just put them in mini pots and start watering? I’ll keep them indoors on a windowsill, but what’s the right time to put them outside where they will get more light?